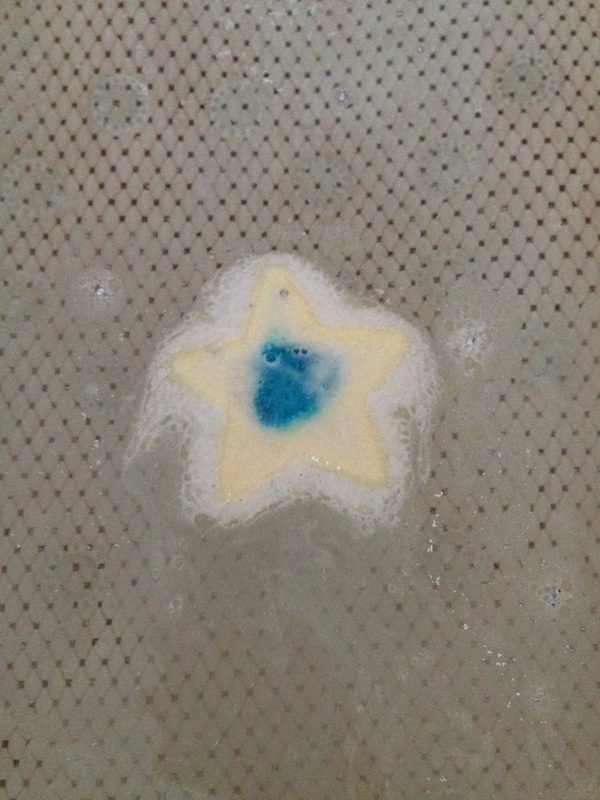 As I had enjoyed using Lush Snow Angel Bath Melt I was excited to try Lush Star Light, Star Bright Bath Melt. I had avoided purchasing this last year as I knew it would cover the bath in glitter. However, I don’t really mind that now so popped it in the bath without so much as a second thought about having to clean up after. All of the glitter comes off as soon as it hits the water. 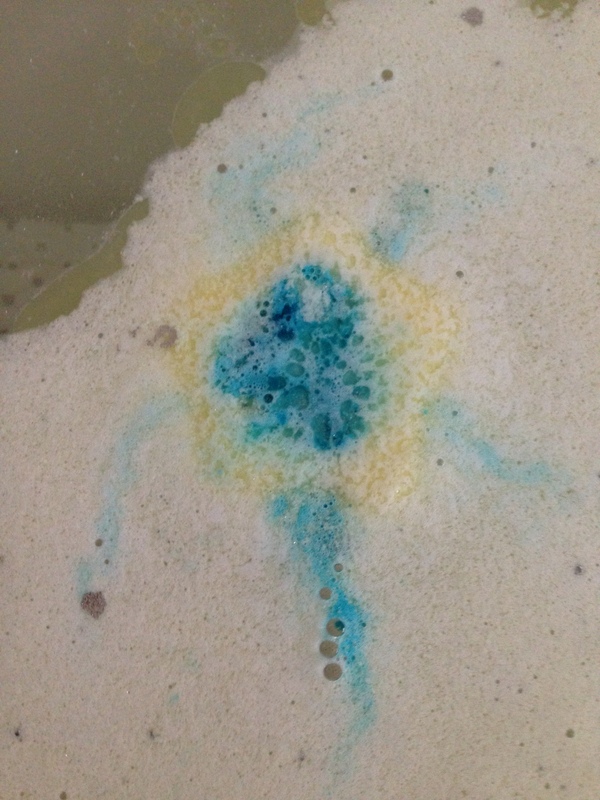 Then it starts foaming and a blue centre is revealed – something I was not expecting at all. Once it has fully dissolved the bath is milky blue in colour and the water feels lovely and soft. This is due to the Fair Trade Cocoa Butter and Extra Virgin Coconut Oil that is packed into each one. The scent its spicy yet relaxing and is made from a combination of Ginger, Lavender and Lime Oil. When I got out of the bath I was left with really soft feeling skin that felt so moisturised that I didn’t feel the need to use a separate body lotion. I decided to use the whole bar in the bath, but you could break it in half and get two baths out of the one bar so you get more for your money. Although I did enjoy this bath melt I probably wouldn’t purchase it again as I think I prefer the Butterbear – or Butterball – more. 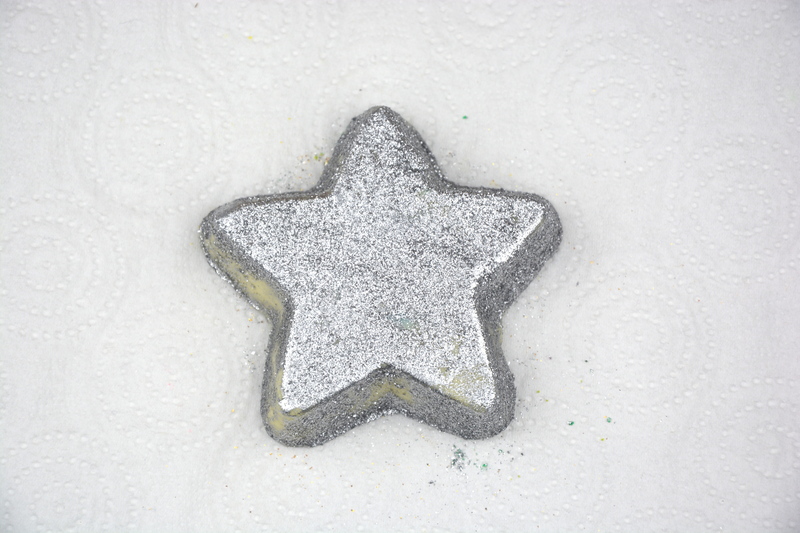 Lush Star Light, Star Bright Bath Melt retails for £3.50 and is available here. I got this for christmas and it looks great. Did it leave lots of silver lustre on you and the bathtup though? You could also quickly run it under a tap to get some of the glitter off, that’s what I would probably do next time!